Botox for piriformis pain offers relief for some conditions using botulinum toxin delivered via injection into the piriformis muscle. Botox has long been a mainstay of the aesthetic industry, being used to prevent skin wrinkles on the face and body, since it can effectively paralyze muscles. However, the therapeutic medical sector has also discovered the many uses for Botox in treating pain and muscular spasms. 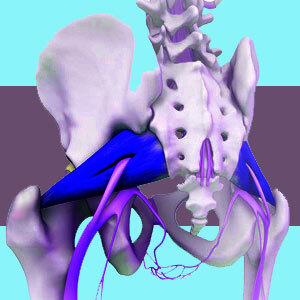 One of its best uses is certainly in treating piriformis syndrome. Botox is a poison that can injure or kill. It is a very deadly substance that must be handled by experts in its medical applications. However, when used as indicated, it can provide a host of benefits for piriformis syndrome sufferers and provide long-lasting relief that might be difficult to match using other types of therapy. This focused essay examines the use of Botox injections of piriformis pain syndromes. We will explain why and how Botox works, as well as provide some helpful tips for patients on its use. What is Botox for Piriformis Pain? Botox is a popular brand name of botulinum toxin that is used for medical applications. Botulinum is a paralytic agent and a poison. It is used primarily to treat muscular tissues, paralyzing them so that they can not move. Botox is an injectable therapy that is used directly into the piriformis muscle for indicated conditions. Piriformis syndrome theory states that the piriformis muscle constricts the sciatic and/or pudendal nerves when it goes into spasm. Botox is used to paralyze the muscle and prevent it from spasming. The muscle will relax post-therapy and release its grip on the entrapped nerve. Therefore, Botox acts directly on the mechanism of action, preventing the nerve(s) from being compressed by an acutely tight muscle. Botox injections are given directly into the piriformis muscle. Treatment is usually provided using multiple injections into the structure and may be guided via fluoroscopy for improved accuracy. Botox is fast acting and most patients who enjoy benefits will feel much better quickly, although full benefits may take up to a week to develop. Botox may or may not be covered under traditional health insurance, since his application is generally considered “off label” use. However, Botox injections are not prohibitively expensive and might provide lasting relief from weeks or even months of therapeutic duration. Dysport is an alternative to Botox and is just as effective for pain relief and anti-spasmodic action. If you can find a better price for Dysport, feel free to substitute this substance, as it is virtually identical to Botox in composition and clinical application. Botox injections are dangerous. Botox treatment should always be performed by an experienced expert. In rare cases, serious complications can occur. If Botox enters the blood stream, the effects can be fatal. Botox does not have a predictable duration of efficacy. Some patients enjoy long timelines of relief, while others only feel better for a much shorter duration. Additionally, subsequent rounds of Botox therapy might demonstrate decreased duration of efficacy from the first injection. Many care providers offer specials on Botox. If you can find a deal, try to lock it in. The cost of Botox is relatively high, but not out of reach, even if it does not enjoy coverage under your current medical insurance. Always seek Botox treatment form a licensed physician, and preferably one who specializes in its use for pain management applications, rather than cosmetic applications. Never accept care from a less-qualified person, even if they have the legal ability to administer the injection.